It’s a famous study. Give a mug to a random subset of a group of people. Then ask those who got the mug (the sellers) to tell you the lowest price they’d sell the mug for, and ask those who didn’t get the mug (the buyers) to tell you the highest price they’d pay for the mug. 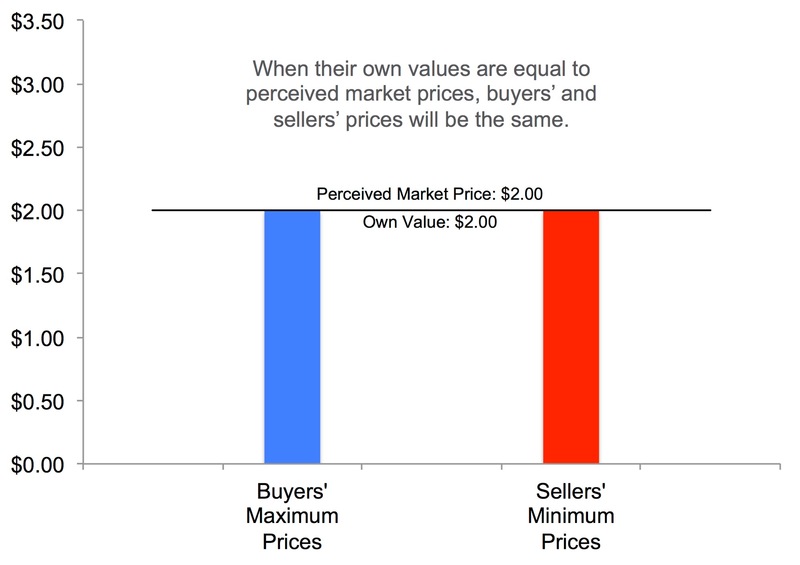 You’ll find that sellers’ minimum selling prices exceed buyers’ maximum buying prices by a factor of 2 or 3 (.pdf). This famous finding, known as the endowment effect, is presumed to have a famous cause: loss aversion. Just as loss aversion maintains that people dislike losses more than they like gains, the endowment effect seems to show that people put a higher price on losing a good than on gaining it. The endowment effect seems to perfectly follow from loss aversion. This paper changed how I think about the endowment effect, and so I wanted to write about it. Weaver and Frederick predict that the endowment effect will arise whenever market prices differ from valuations. And this is what Weaver and Frederick find. Repeatedly. There is no endowment effect when valuations are equal to perceived market prices. Wow. Weaver and Frederick’s theory is simple, plausible, supported by the data, and doesn’t assume that people treat losses differently than gains. 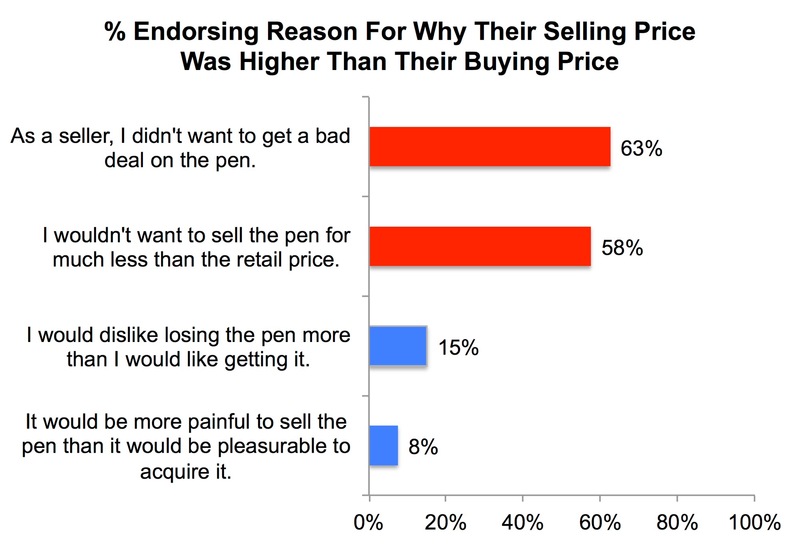 It just assumes that, when setting prices, people consider both their valuations and market prices, and dislike feeling like a sucker. I shared an early draft of this post with Shane Frederick. Although he opted not to comment publicly, during our exchange I did learn of an unrelated short (and excellent) piece that he wrote that contains a pretty awesome footnote (.html).